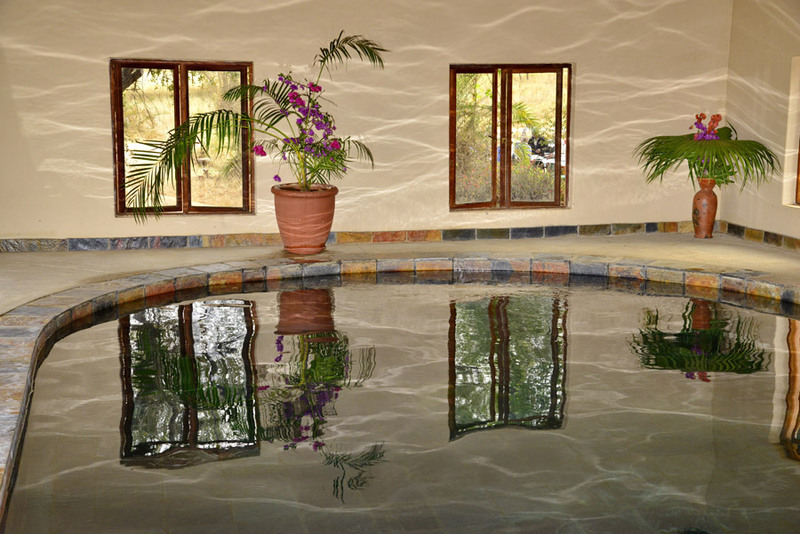 Makutsi Main Camp offers indoor and outdoor pools with natural, warm mineral water. 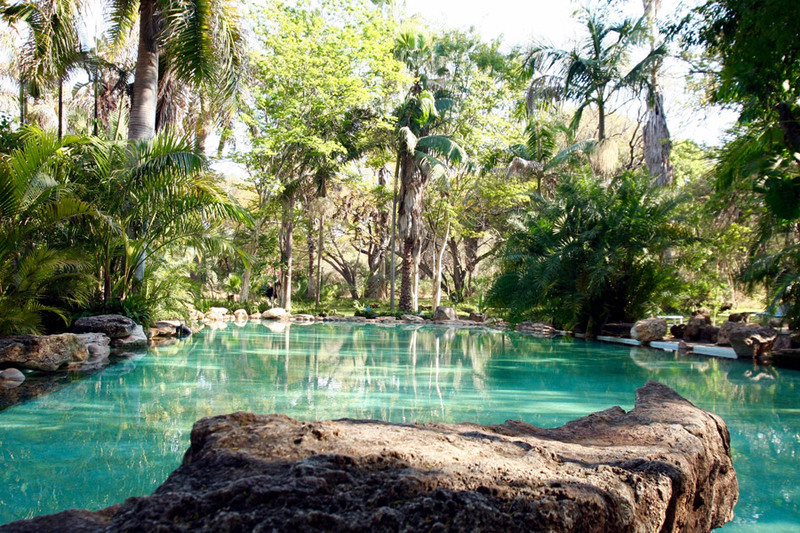 The mineral spring water comes from the earth at approximately 34 degrees Celsius. 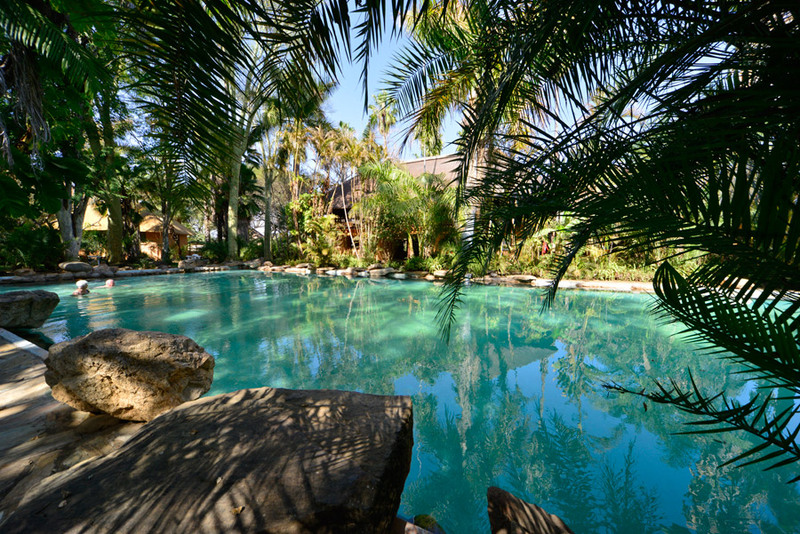 The outdoor pool is 33 meters long and set among the tropical gardens, a real oasis. 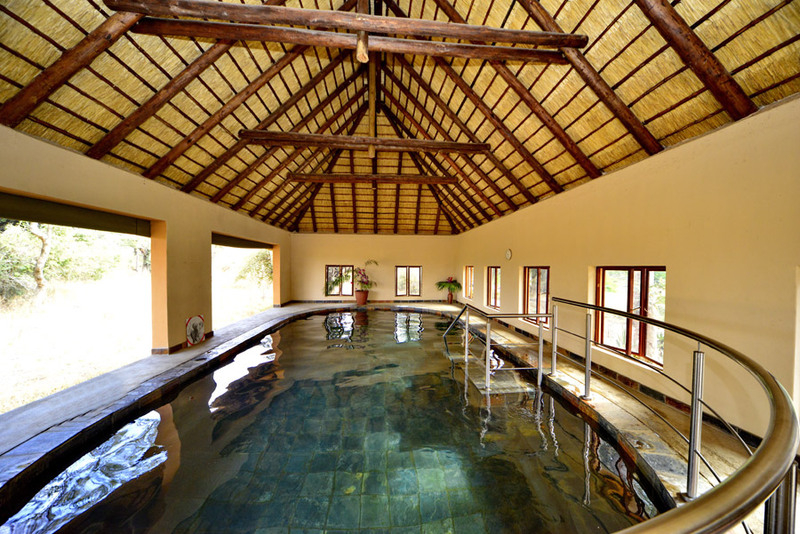 The new indoor “Roman Bath”, now situated right on the banks of the Makutsi River, is filled every morning at 9am, and emptied every afternoon. This means the water temperature is generally higher in the Roman bath than the outdoor pool, which cools down overnight. 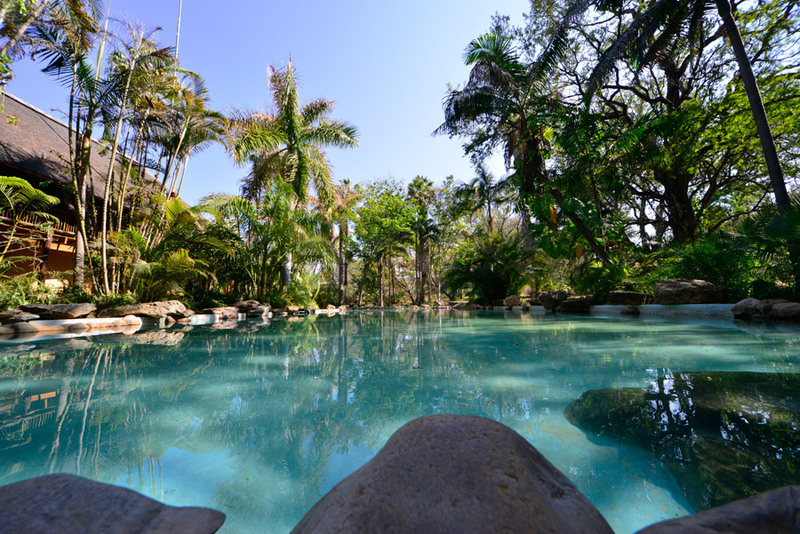 How do Mineral springs form? 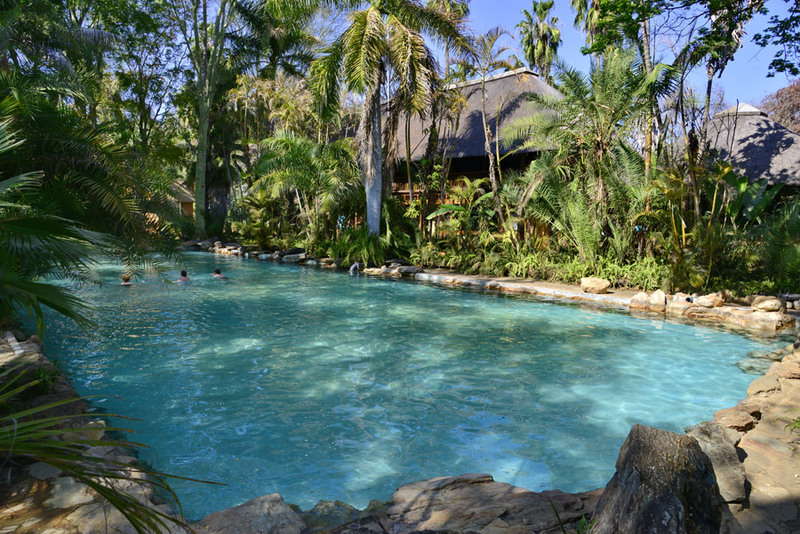 A filtration hot spring is geothermally heated mineral water that is initially fed by rain water that seeps into the Earth through faults and fractures. As it travels into the Earth, it becomes subject to increased energy from natural geothermal heat, and is exposed to gases and an often wide variety of minerals from rock and mineral deposits. The water adsorbs the minerals via leaching, is heated by the geothermal heat source, and then returns to the Earth’s surface.